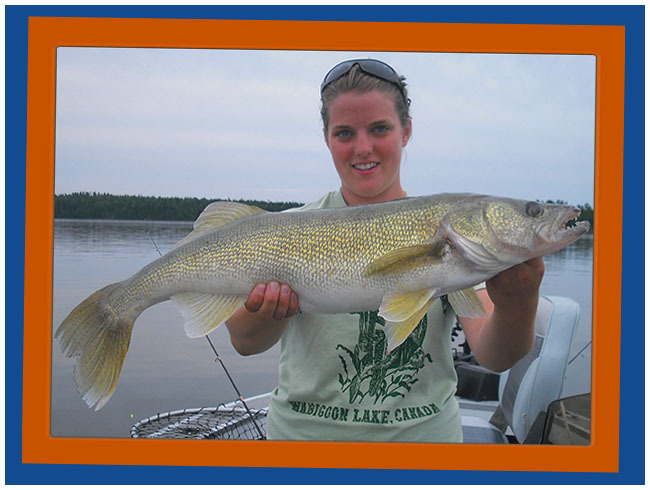 Wabigoon Lake is well known for having monster size Walleyes including vast numbers of good eating sizes. There are over 50,000 acres of water, countless miles of shoreline, inflowing creeks and rivers and nine adjoining lakes, which are also very productive. 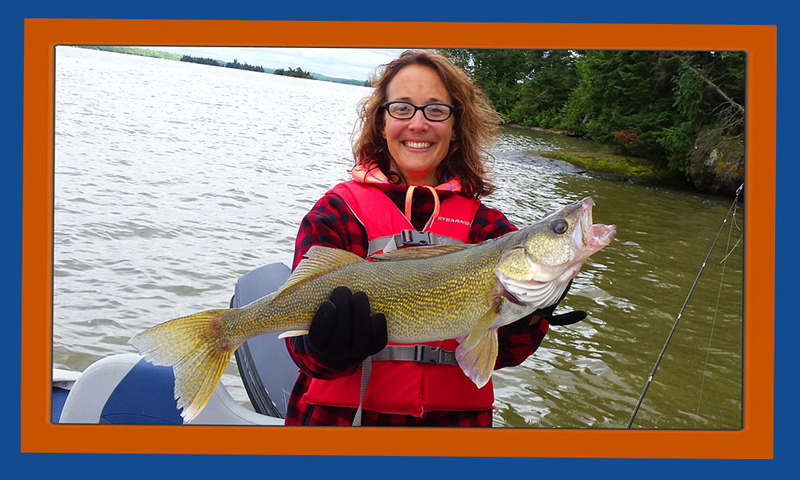 Wabigoon Lake is a Walleye fisherperson's dream come true. Wabigoon Lake is considerably warmer and more nutrient than most Northwestern Ontario lakes thus the population of Walleyes seems inexhaustible. These factors combined with perfect Walleye structure such as rivers, shoals, rocky points and deep weed-beds, makes Wabigoon Lake one of the best Walleye lakes in Canada and the top trophy Walleye hotspot in Ontario. 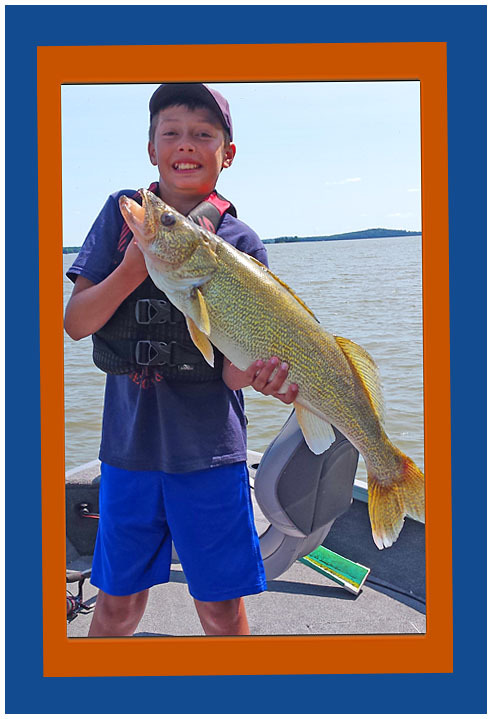 Walleyes in Wabigoon Lake are common in the 12 to 18-inch range. In the last few years guests have caught and released many in the 31 and 32-inch range with a couple that we know of that were 34 inches. On an average day, Walleye hunters can expect to catch 20 Walleyes. On a good day, 40 or more can be expected. This is based on knowing the lake or asking Bonny Bay's courteous staff what they are biting and where they are. Early season walleyes are staged near some of the feeder creeks very near to our camp. Mid-summer you can catch them off some of the sunken islands or shoals within eyeshot of our camp. In the fall they like the weed-lines.